One new Pokemon game and a massively updated Pokemon App will be released in North America this fall. Pokedex 3D Pro will be an updated version of the Pokedex we currently have in the eShop. It will feature all 649 unlocked from the start, among other features. 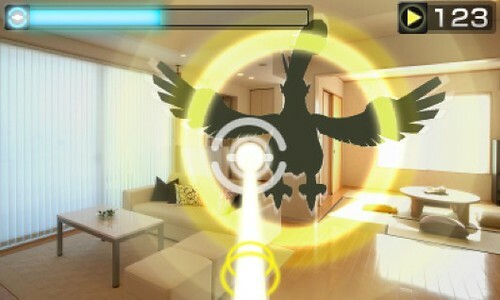 Pokemon Dream Radar will be an Augmented Reality Shooter where you find and catch monsters in the real world that can later be transferred over to Pokemon Black and White 2. Nintendo has finally confirmed that two downloadable Pokemon games first teased during last month’s Nintendo Direct Japanese broadcast will be coming to North America this fall. The first is Pokemon Dream Radar, an AR shooting game that allows players to use the system’s gyroscope and Augmented Reality capabilities along with its internal camera to find and catch monsters in the real world. Pokemon you catch this way can then be transferred over to Pokemon Black 2 or Pokemon White 2, which are also set to release this Fall. The second download coming our way is an updated version of the Pokedex 3D application. Called Pokedex 3D Pro, it will include detailed information on all 649 monsters from all generations, which will all be unlocked from the start. It will also feature in-depth sorting, comparison and ranking tools, as well as extensive AR capabilities, including the ability to take pictures of Pokemon in the real world and save them to your system’s SD card. Both of these games will be available exclusively on the 3DS eShop. Nintendo has also released new information on Pokemon Black 2 and White 2’s legendary monsters. White Kyurem (available in Pokemon White 2) will know the move Ice Burn, while Black Kyurem (available in Pokemon Black 2) will know the move Freeze Shock. Pokemon Dream Radar will be an Augmented Reality Shooter where you find and catch monsters in the real world that can later be transferred over to Pokemon Black and White 2. EDIT: My jaw is dropping right now. Will either of these be free in North America? I wouldn't mind paying for both of these. They sound unbelievably cool. Though I wouldn't be surprised if Pokedex 3D Pro ends up being free. Same! Especially, the AR one! This is a really cool idea. I'm not interested in Pokemon until the ground-up 3DS version, but I'll definitely purchase/use these apps when the time comes. 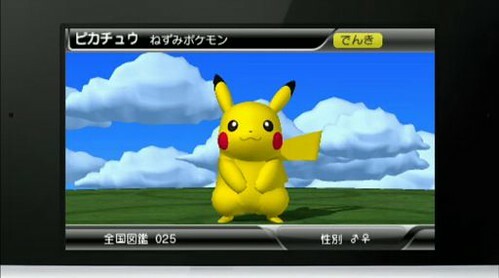 I honestly believe that the Pokedex 3D Pro is just a testing ground for models and animations in the next Pokemon game. If so, we're in for an awesome looking 3DS Pokemon in the future! Well, I s'pose the Dream Radar thing is a game, so it'd be okay if it were a couple of bucks. But is PokéDex 3D even a game? There's a reason why the current version is free, so the updated one should be too. The Dream Radar game sounds a lot like the concept for Pokemon Snap a lot of us have wanted to see on the 3DS. @sirmastersephiroth But you're battling them instead of taking their picture, and you're limited to the room you're in. That doesn't sound like Pokémon Snap at all, which is basically an on-rails shooter except with a camera in place of a gun. Of course, I don't see the appeal in an AR game. I live in my house, I want games to take place in a fantasy land. Wait...that AR thing is a Vita exclusive, isn't it? By the way, dudes & dudettes, the Pokemon Dream Radar will allow to catch Pokémons for Pokémon Black & White 2. Otherwise, I think it is pretty useless as a standalone app. Hmm, the updated Pokedex makes it seem like bothering to collect Pokemon in the current version is a waste of time. All will be unlocked, neat. The AR game seems interesting. But you shoot stuff in both games. Only, in this one, it hurts.